Another year has past and I find myself writing my 5th post about these 3 shows - The Allergy & Free From Show, Love Natural, Love You & Just V. I had a few twitter messages asking me for my highlights and for me it's actually the Free From Skincare Awards presentation which takes place on Friday. Thanks to Alex and Michelle for springing on me the task of collecting a few awards for brands who couldn't make the show. I ended up having my picture taken with the lovely Janey Lee Grace no less than four times! I'd like to take this opportunity to congratulate some of my personal favourites on their awards; well done to Balmology, Lyonsleaf, Myroo, Bathing Beauty, Beeutiful and Terri Verdi. If you'd like to see the full list of Gold, Silver and Bronze winners then visit www.skinsmatter.com. Food glorious food is my priority at the shows and there is always so much to see. My allergy dietary needs are milk and egg free plus I am vegetarian. There is a strong gluten free presence each year but I'm seeing a little more attention to other allergies. For instance Wellaby's have launched Simply Bakes which are Vegan (manufacturing warning for may contain trace milk) which I welcome as their other products are not suitable for me. I think my favourite dairy free chocolate find was courtesy of Hephzibah spotting Loving Earth (available at planetorganic.com). Wonderfully creamy and some stand out flavours which I think made them a little different to other brands. 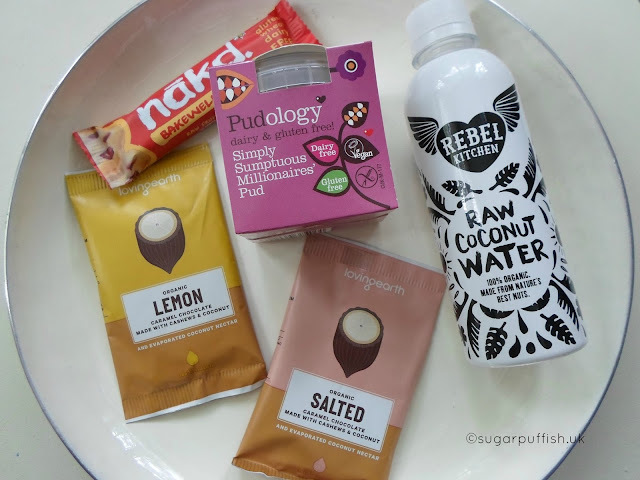 I also enjoyed the new Perkier Coconut & Chia Bar and hope to see those on supermarket shelves soon. I'm a creature of habit and once again came home with a box full of Nakd bars and a cool bag of Pudology. I was very excited to be reunited with Ruby's who I discovered back in 2014. I had to indulged in a vegan cinnamon doughnut and pistachio cupcake. 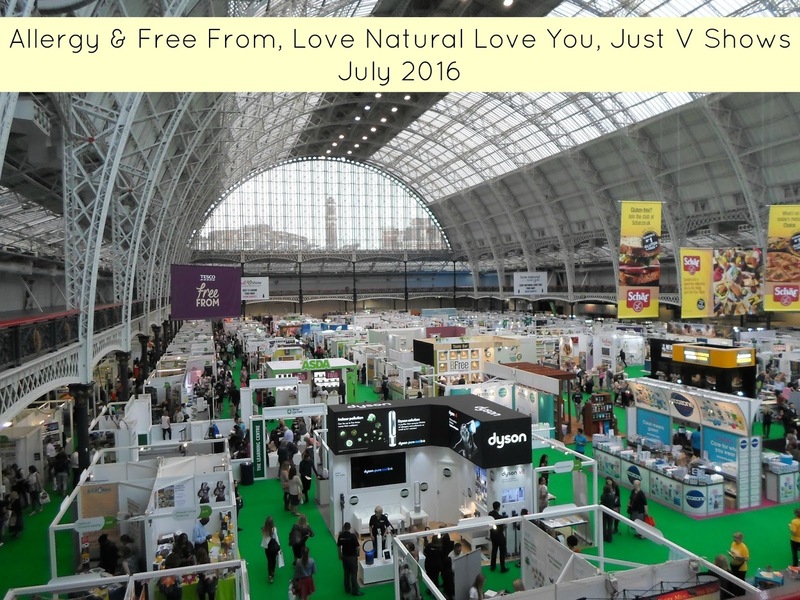 Similar to past years there is always a small selection of natural skincare brands. This year I found a few new to me brands (Pinwheel Balms, Neek Skin Organics Australia) and some familiar ones (Little Ondine, Green People, Saaf, Hippy Paste, The Green Woman, Living Naturally). One final shout out to Jen and Hephzibah for keeping me company, we finished off the day with a Wagamamas, always our go to restaurant. I had a great day out and look forward to next year. Did you attend the shows? Any highlights and product recommendations? P.S Awards winners Beeutiful and Terri Verdi are attending our event Gorgeously Green so make sure buy a ticket to find out more about them. Thanks for helping us out - and for being a great judge, as always.